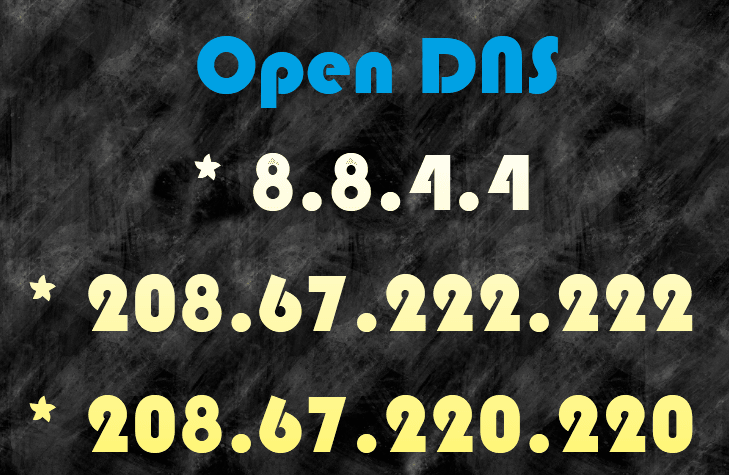 Open DNS: Where to find? Get FREE, NEAREST and FASTEST Open DNS in your Area. Have you tried Open DNS? Not yet? You should give it a try. I’ve been using several of it. The lists below are just a few from what I have tried. It is a better alternative, I shall say, it’s the best replacement of your default dynamic DNS. It helps increase your Internet speed. Open DNS does improve internet connection. I proved it myself (read this post How to Boost Sun Broadband). My browsing experience became fast, online games perform well and online video streaming loads better. My default DNS download speed was. 06Mbps. up to .20 Mbps. during peak hours. When I replaced it with Google’s Open DNS it climbs up to. 50 Mbps. Have you noticed? The speed improves at about 60%. The good thing is, my connection never falls below that and reaches 1 Mbps during regular hours. Does Open DNS enough to get better internet speed? The answer is NOT. I found this useful free open source software (NameBench) that searches not just Open but nearest and fastest DNS in your area. Yes, Open DNS is good but NameBench does a better job. The speed increase may not be so significant but the stability is great. NameBench generated DNS gives me a .60Mbps. up to 1.74 Mbps download speed and 5.5 Mbps. during off peak hours (though it’s seldom). 4. Wait until the search is over and displays result which is the best Open DNS available in your area. 5. Replace your DNS with the fastest Open DNS given by NameBench.